To use your tank rainwater throughout your house or property you will need a water pump. Careful water pump selection is important in order to maximise pump performance, efficiency and service life. 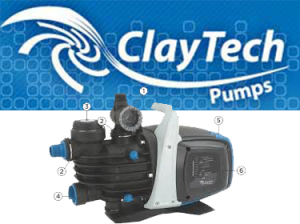 Team Poly recommend and supply Davey and ClayTech water pumps—two well established and reputable brands. which automatically switches between your rainwater and mains water supply.